The greatest thing (about our adaption period) was the uninterrupted time we had as a family – away from our busy lives back home. We traveled almost every weekend around the country and really tried to enjoy our time there together. We are the Scharmahorn family. 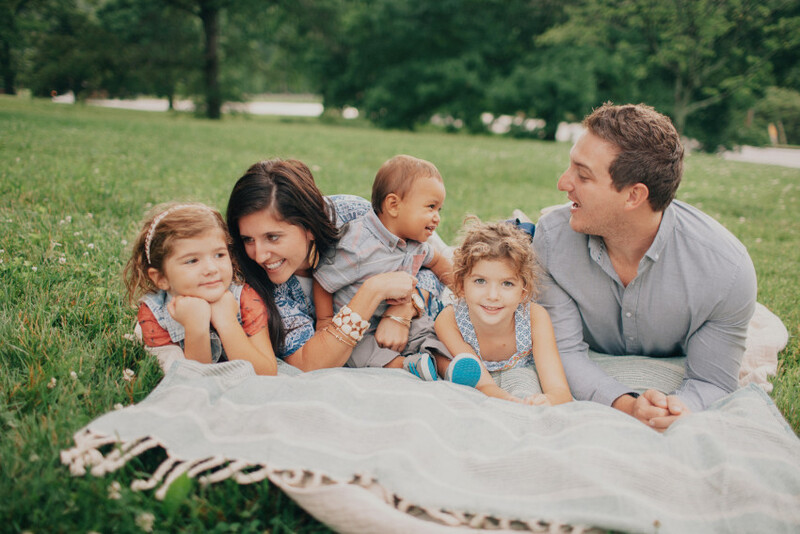 My husband, Kaleb and I have been married for eight years and have three kids, Graelynn (6), Lilly (5) and Johander (2). We brought Johander home from Nicaragua in April of 2015. We met at college in Kentucky, got married soon after, and have lived in Florida for the last 5 years. What led you to adoption and international adoption? I went to Nicaragua for the first time on a missions trip as a senior in high​ school to spend time loving on kids in the orphanages, and decided then that one day I wanted to adopt from Nicaragua. My husband, Kaleb, was impacted personally by adoption, and had a heart for it as well. 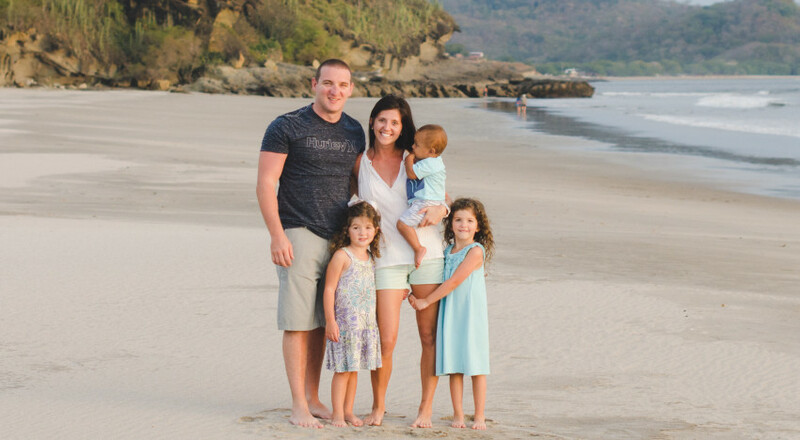 We spent our honeymoon in Nicaragua doing missions and after our second daughter, Lilly, was born, we decided to step out and start the process. 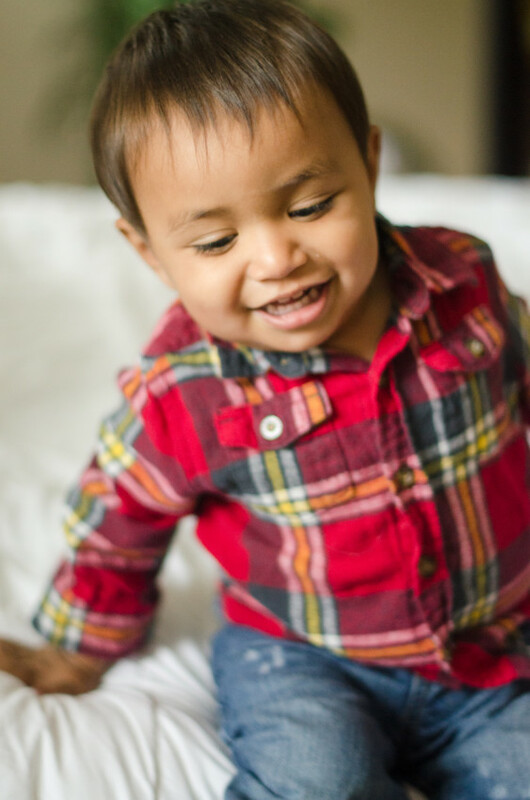 ​Our heart for adoption was simply to give a child a home and a family that might otherwise not have one. Our hearts were in Nicaragua, but we also knew that there were kids right here in our city that needed a family. God continued to point our hearts back to Nicaragua. ​My faith is the reason I went to Nicaragua to serve in high school, and I believe now that God knew then that he would have a child from that beautiful country prepared specifically for our family. We love because he first loved us. It’s an honor to be able to adopt kids… we’re not perfect at it, but it’s one way that we get to live out the gospel here on earth. ​We knew that this was something God wanted us to do, and so we stepped out in faith with little in our checking account, expecting God to show up! And he did. We applied for grants (and thankfully received a few of those), we sold some items around our home that we didn’t need, my husband sold his car and road his bike to work for awhile, we held a yard sale, and then we did something pretty crazy – and decided to plan a bike ride from Nashville, TN to Daytona Beach, FL to raise money and awareness for adoption and orphans. My husband and two of his friends road 100 miles a day, for seven days, and at the end of the journey, we had raised over $14,000. It was unbelievable and such a testament to God’s faithfulness. He didn’t call us to adopt and then allow us to suffer financially. 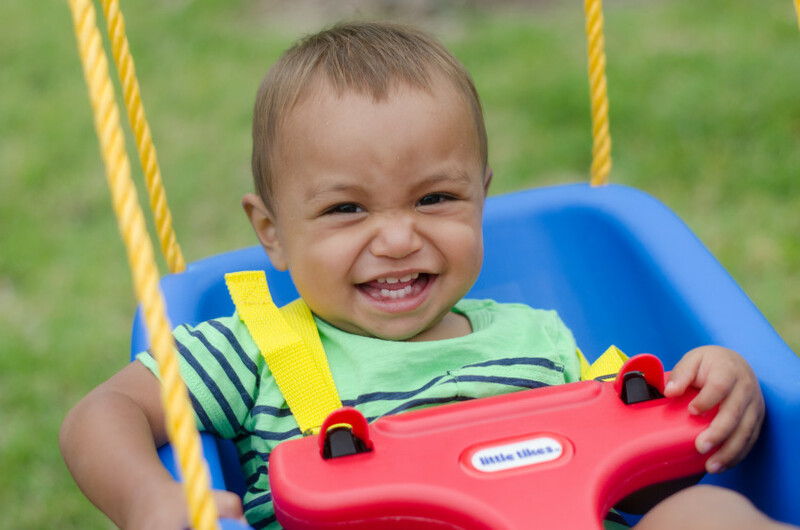 We’ll never forget the amount of people that helped us pay for the adoption… they’ll forever be a part of our little man’s story. ​ Because we had been to Nicaragua many times before, we knew culturally what we were walking into. The hardest partwas just not knowing when meetings would happen, when he would be declared abandoned, or when we would go home – BUT, the greatest thing (especially now looking back) was the uninterrupted time we had as a family – away from our busy lives back home. We traveled almost every weekend around the country and really tried to enjoy our time there together. We couldn’t have done it without FIT Nicaragua. Carlos and Sharla took us in like family, and we will forever be grateful for them and their ministry. ​The day we met Johander was one that we’ll never forget. We walked into the orphanage (which was the very first orphanage I had served in on my first trip to Nicaragua) and the director walked up to Kaleb, kissed his cheeks, and said “your son looks like you! !” She walked us into her office where we sat down and began to talk. And then, all of a sudden a woman showed up in the doorway holding a little boy. We all stood up and I walked over to hold him for the first time. He came right to me, I walked to Kaleb, and he leaned over and kissed Kaleb on the cheek. We will never forget that moment. Within five minutes he was asleep in my arms and shortly thereafter, we were leaving the orphanage with our little man. It was unforgettable moment, but the next ten weeks were hard. Johander had yet to be declared abandoned. The thought of losing him raced through our minds daily and it was almost unbearable to even think about our lives without him. And then, on Feb 26th, 2015 we received an email that our son had been declared abandoned – and we celebrated! This meant that he was going to be ours.. forever. I called Kaleb, who was back in the states with some of his best buds and we all cried over the phone together. ​ Our 16 weeks in Nicaragua prepared us to come home, it formed us into a family. By the time ​we left Nicaragua, Johander was a part of us. He trusted us, he was comfortable with us and he would go anywhere with us. Now that we’ve been home for a year he is happy, he’s full of life and he’s well adjusted. He trusts people, he loves playing with his sisters and snuggling with us. We are blessed to call him our son and LOVE hearing him call us mommy and daddy. ​None of our family members were surprised at our decision to adopt. They were incredibly supportive and my mom even spent eight weeks with us in Nicaragua to help take care of the kids. (not sure how I would have done it without her!) ​We walked back into the states as a family (of five) but walked into a family of so many more. Our “family” here in Florida have loved Johander and our family in ways we never imagined and we’re so thankful for their friendships. Many of them traveled to Nicaragua to visit us and to help take our minds off of missing home. It was such a gift. ​We hope to travel back to Nicaragua many times as Johander grows up. We don’t want to wait until he’s older to reveal to him where he came from.. that’s a part of his life, of his story, of how God brought him to us. We want Nicaragua to be a part of his life and for him to travel back often. My advice to families considering international adoption? ​Pray about it and then just do it. Even when you’re not ready (financially) or you have a six month old at home and it doesn’t quite make sense, if God is in it, He will carry you through. We started our paperwork in October of 2011, received THE phone call in November of 2014, met our little man in December of 2014 and came home as a family in April of 2015. ​ALL of it was worth it. It will be worth it. For more information on adopting from Nicaragua, please contact us.